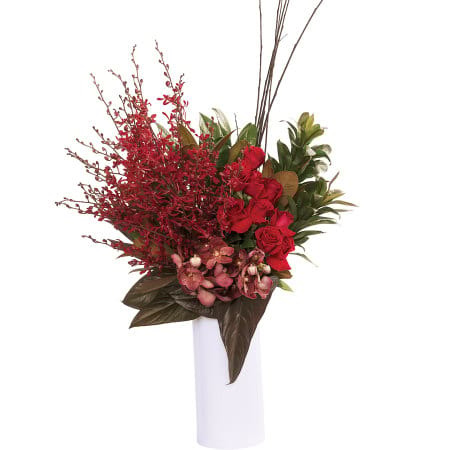 Our premium red tropical vase is filled with an abundance of contemporary red spider orchids, beautiful red vanda orchids, long stem red roses, tall sticks and luscious leaves and foliage. Designed in a white ceramic vase, this stylish and modern flower arrangement is oozes wow factor. It`s perfect for big thank you`s, special celebrations, parties, events and corporate gifts and installations. 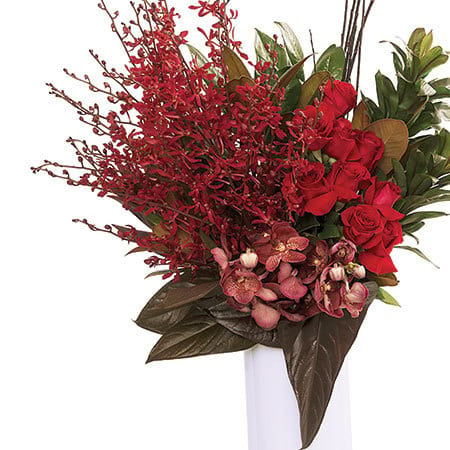 Order this beautiful vase of flowers online now or call the team on 1800 66 66 46. Available for Sydney deliveyr only.